ISO 27001 is one of the most widely adopted and respected information security standards in use today. Many organizations seek to be certified for the standard, which provides a framework for implementing an Information Security Management System (ISMS). The standard touches on virtually every aspect of information security. 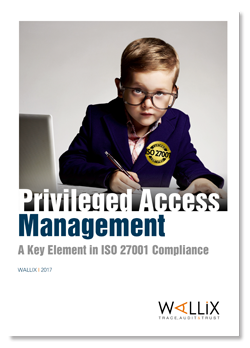 Access controls - including Privileged Access Management (PAM), figure prominently into the ISO 27001 certification and audit processes. This white paper looks at sections of the standard that apply to PAM, using the example of the WALLIX Bastion to highlight how a PAM solution can help companies achieve the ISO 27001 certification.